The concept of using mechanical force to initiate chemical reactions – mechanochemistry – has been around for thousands of years. It appeared in the literature in the fourth century BC, when Greek philosopher Theophrastus described grinding cinnabar (mercury sulfide) with vinegar in a copper pestle and mortar to make quicksilver. And in 1820, when British scientist Michael Faraday described the ‘dry way’ of carrying out chemical reactions, it was clear that the use of pestles and mortars for synthesis was a regularly used procedure at the time. But despite its early beginnings, mechanochemical synthesis has never hit the mainstream. Chemical reactions today are almost exclusively initiated using heat, light or electricity. Mechanochemical synthesis is staging a comeback, however, largely thanks to the burgeoning interest in sustainable chemistry. Most mechanochemistry techniques use little or no solvent. ‘Solvent is the largest mass in a [traditional] chemical reaction and removing that mass inherently makes things greener,’ explains James Mack, a chemistry professor at the University of Cincinnati in the US. But while sustainability may have brought people to mechanochemistry’s door, they have stayed for two additional reasons: its utility and the intrigue surrounding how it works. 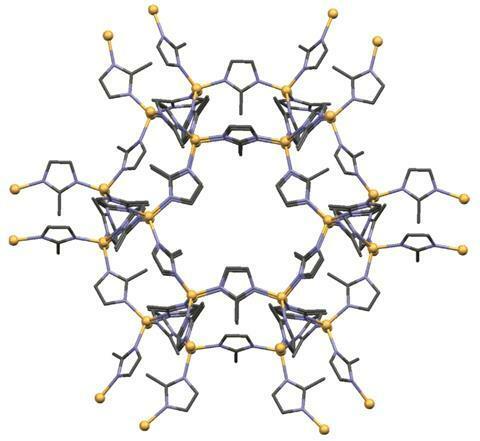 ‘One can perform chemical reactions that previously have not been accessible, and make molecules and materials that were claimed to be impossible to synthesise or isolate,’ says Tomislav Friščić, a chemistry professor at McGill University in Montreal, Canada. The ball mill is a popular tool choice amongst mechanochemical researchers. Widely available in a variety of sizes and designs, these devices contain one or more loose balls that crush whatever is inside them as the vessel is shaken or rotated. Both compressive and shear forces are put on any molecules inside. Ball mills have been used commercially for a number of non-synthetic purposes for over 100 years, and are now found anywhere where the controlled reduction of particle sizes is needed. They are ubiquitous in the mining, cement, chemical, pharmaceutical, wood and ceramics industries. They are also widely used for mixing and blending and mechanical alloying. 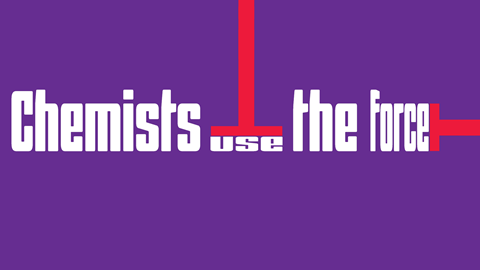 But they are not yet used commercially for chemical synthesis. A ball mill is not the only way to physically force one or more molecules to react; the twin-screw extruder is another suitable option. This device contains two long and wide screws sitting extremely close to each other – without ever touching – inside a barrel. As with ball mills, these instruments are extensively used commercially for other purposes such as making cereals, crisps and pizza dough. ‘You can put pizza dough down in an extruder and add in supercritical carbon dioxide, and it helps the dough expand,’ explains Deborah Crawford, a postdoc in James’ group. It’s also widely used for processing plastics and in the pharmaceutical industry for consistently mixing multiple formulation ingredients, she adds. James and Crawford have also explored the use of twin-screw extrusion in organic synthesis.6 They have demonstrated four different types of condensation reactions on the large scale (0.5kg per hour) in a continuous, solvent-free environment: Knoevenagel condensation, imine formation, aldol reaction and Michael addition. In many cases, the resulting molecules were pure enough to require no purification after extrusion. They have also shown that it is possible to carrying out two organic reactions sequentially in the extruder – a process known as telescoping.7 ‘At the start of the extruder you feed in two reactants and you can set it up such that the reaction between those is complete within the first half of the barrel. Then you can add in a third reagent half way down and then you can do a second reaction in the second half of the barrel,’ explains James. ‘You can also start to telescope one reaction directly into another, avoiding the need for isolating and purification. It’s a very efficient way of doing things.’ In solution chemistry, telescoped reactions are often referred to as one-pot synthesises, and are gaining popularity industrially due to the money and time saving potential. Crawford says they are hoping to commercialise this work. 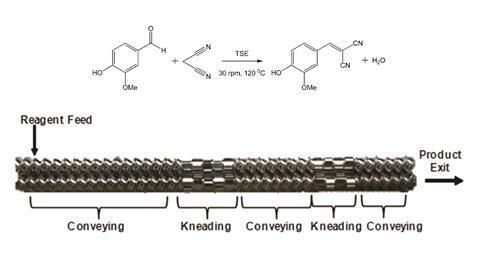 While chemical synthesis using twin screw extrusion may be finding its commercial feet, it is well accepted that mechanochemistry has a long way to go before it can reach its full potential. Part of its promise is that it enables different reaction pathways to those accessible using heat, light or electricity, but little is understood about how and why this is possible. And without a solid understanding of how mechanical energy translates into chemical reactivity, it is hard to predict how reactions will proceed under these conditions. A key part of building up mechanistic knowledge is monitoring reactions as they proceed. This is challenging with ball mills owing to their constant, violent motion. 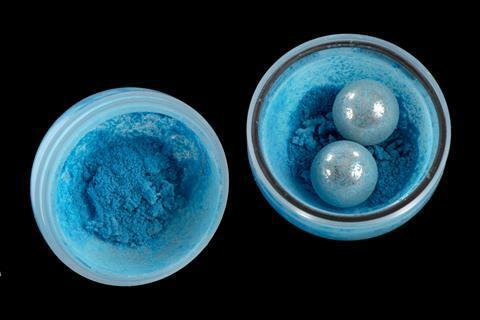 In addition, commercially available ball mills use solid metal or ceramic vessels and most real-time reaction monitoring tools developed for solution chemistry – infrared, UV–visible and Raman spectroscopy – need a transparent vessel to shine light through. Mechanistic studies for mechanochemistry therefore normally periodically stop milling and analyse the reaction mixtures. This isn’t ideal for all reactions, however, such as those with air sensitive molecules and self-sustained reactions that continue once milling has ceased. A number of groups have now developed techniques to allow in situ, real time monitoring inside a ball mill. Working with colleagues from the UK, Germany and Croatia, Friščić published the first of these in 2013.8 ‘We worked with several groups internationally to develop a way to observe mechanochemical reactions in a ball mill in real time,’ he explains. 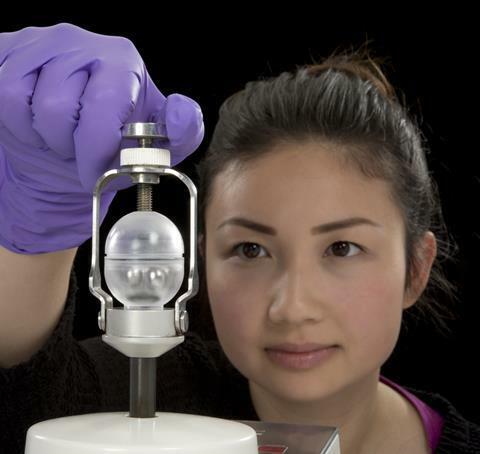 The team placed a custom-made transparent ball mill inside a synchrotron x-ray source and measured powder diffraction patterns of the reactions inside in real time. ‘That gave us an unprecedented insight in to not only what kind of things can one see during mechanochemical reactions, such as very unusual reaction intermediates or new materials or new structures, but it also gave us answers to some very simple questions such as how quickly a product forms,’ says Friščić. The first paper looked at MOF synthesis, and his lab has since also explored pharmaceutical co-crystal formation for drug formulation. Mechanochemistry isn’t just about shaking vessels violently or crushing reactants between huge screws, there are some researchers in this field taking a much gentler approach. Optical and magnetic tweezers and scanning-probe microscopes are being used to study how molecules react under mechanical force. Atomic force microscopes (AFM) and scanning tunnelling microscopes can localise mechanical stress on a single chemical bond in a large organic molecule, causing selective bond rupture.11 A single bond can also be weakened, making it more susceptible for nucleophilic attack. ‘Force [from an AFM] can induce chemical reactions in the sense that another molecule can attack the bond that is under stress,’ explains Sergi Garcia-Manyes, a physics professor at King’s College London in the UK. All researchers in this field agree that further fundamental insight into how mechanochemical reactions proceed is a necessity if mechanical force is going to join heat, light and electricity as possible initiators a chemist may consider when planning a new reaction. But it is also necessary that more tools suitable for the job are developed. One researcher with an alternative view of how that future might look is Nicholas Melosh, chemistry professor at Stanford University in California, US. He is looking beyond the standard mechanochemical toolbox and designing molecules that react selectively under non-directional high pressure. ‘The grander idea of mechanochemistry is to enable reactions that are not possible through other means,’ explains Melosh – such as very selective reactions, more efficient reactions and solvent-free reactions. ‘Ball-milling can do some things but not nearly all. This [work] gives us a different approach to try to get these different reactions to occur,’ he explains. His lab has developed ‘molecular anvils’ – molecules with a copper–sulfur core, susceptible to rupture by force, attached to stronger organic ligands.13 When a compressive force is applied to an entire molecule, it is designed to take the load unevenly. ‘It’s like an anvil. When you press on the molecule, those rigid parts move relative to each other and compress the softer parts in between,’ says Melosh. The compression causes the bond angles in the core to change and induces the transfer of electrons from the sulfur to the copper ions. A metallic copper nanoparticle is ejected from the molecule. ‘We could induce a chemical reaction in the core while the rigid parts remain unaffected,’ he says. If heated, the same molecule would form copper sulfide (Cu2S) instead. Computer modelling was used to explain why mechanical force leads to a different reaction outcome. Melosh demonstrated his concept on a number of different molecules. ‘We showed that it is a common motif,’ he explains. 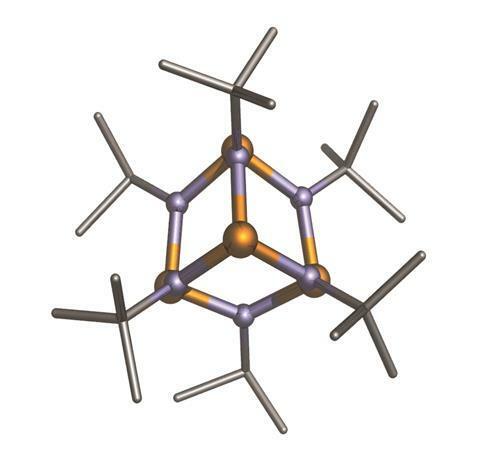 ‘Now we’re looking at other, more industrially important important reactions.’ The experiments are currently being carried out in a diamond anvil cell, but ultimately the non-directional high pressure could be provided by methods – such as inert gases – more familiar to industry. While mechanochemistry may only just be stepping into the large-scale chemical synthesis arena, its commercial use is expected to grow and grow, as more is done to enable these reactions to be understood and predicted and more tools of the trade become easily available.